Alcohol rehab centers use several forms of treatment to be able to assist individuals who have an alcohol addiction problem. From therapy to testing, professionals employed by the treatment center work hard to find solutions for every patient. 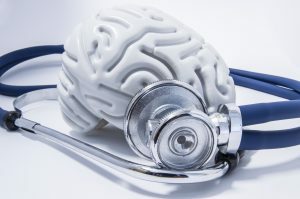 Cognitive testing is one such treatment option that alcohol treatment centers are turning to so that they can connect the brain to alcohol dependency. But what is this therapy type and what can you expect? Cognitive testing is used to determine the ability of an individual to use and retain information as well as learn how the brain is functioning. The abuse of alcohol can negatively affect the cognitive function of individuals who frequently consumed alcohol substances. An individual that is abusing alcohol will see their cognitive abilities affected in a negative manner. Such testing can assess the treatment needs of the patient. Cognitive testing is an examination known as psychometric evaluation. The testing process will determine the brain’s capacity to be able to work efficiently. Mental issues can be detected during this process. If alcohol is being abused, then the mental evaluation will be able to determine if the mental capacity of the individual is being affected in a negative manner. Modern cognitive tests have a high rate of accuracy and can help to assess the overall mental state of the affected individual. The primary objective of testing in this manner is to determine the type of treatment that will benefit the patient based on mental health capabilities. The mental health professional will use the testing to determine emotional function, behavioral changes and cognitive function of the patient. The information revealed will then be used to create a quality treatment program to recover proper mental capacity. With cognitive testing, the intelligence of the individual is not in question. The test is not used to determine the IQ of the individual. Instead, the test is used to measure the three cognition abilities of the individual. These abilities are attention, executive function, and memory. Elements of the individual reviewed during testing including attention span, judgment, memory, language, physical appearance and basic orientation of information. The attention span category will test how easily you are distracted. You will also be tested on how rationally you think in given situations as well as how you complete a thought. For the judgment section, the test will be searching for damage in your problem-solving techniques as well as how well you reason. The language section will cover how well you speak, read and write. Memory will be tested to be able to assess how well you recall your past. Professionals who specialize in cognitive testing will be able to assess all of these categories and determine what your treatment program should consist of. By completing such testing, you will have a customized program built about your cognitive abilities which will help you to move past deep rooted issues and work on what is causing you to be addicted to alcohol. Your brain has the ability to heal itself, it just takes time. By working with professionals in the alcohol rehab centers, you can go through detox and additional treatment customized to your specific needs to rebuild your brain function. It takes time and effort, but cognitive testing and therapy options combined can serve the ultimate purpose of helping you get your life back on track. If you or a loved one suffer from an alcohol addiction, consider this therapy option to overcome your addiction and begin on the path to recovery. Accepting help is the first step to starting a new life for yourself.